"Spirit of Utah" CD used on radio airplay in parts of the United States, stations in both Toronto and Winnipeg, Canada, and Madrid Spain. "Music that Heals the Soul" CD taken from "Music that Heals the Soul" concert series. 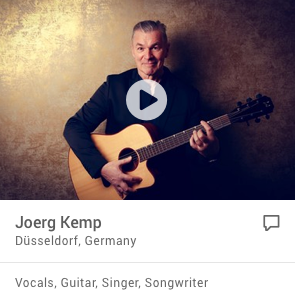 worldwide with Internet radio stations such as Jango.com airing his music. 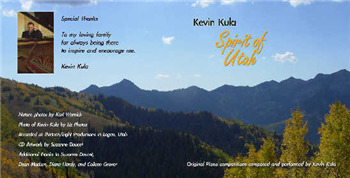 “Kevin's CD Spirit of Utah is beautiful! It brings forth a sense of tranquility andpeace. Kula’s His most recent CD, “Journey of a Dream,” was written for piano, violin, and orchestra. Kevin is joined by the very talented violinist Mami Matsumoto Lyon. “Journey of a Dream” has a unique Celtic, classical, and New Age blend that will move and uplift the soul. 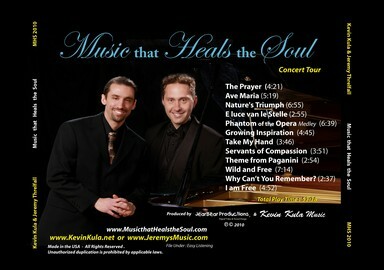 His CD Music that Heals the Soul, features Kevin on piano accompanied by talented vocalist Jeremy Threlfall. Kevin and Jeremy combined their unique talents and wrote a song entitled "I Am Free." This song was used in campaign ads for a candidate recently running for U.S. Senate, which aired throughout the state of Utah. 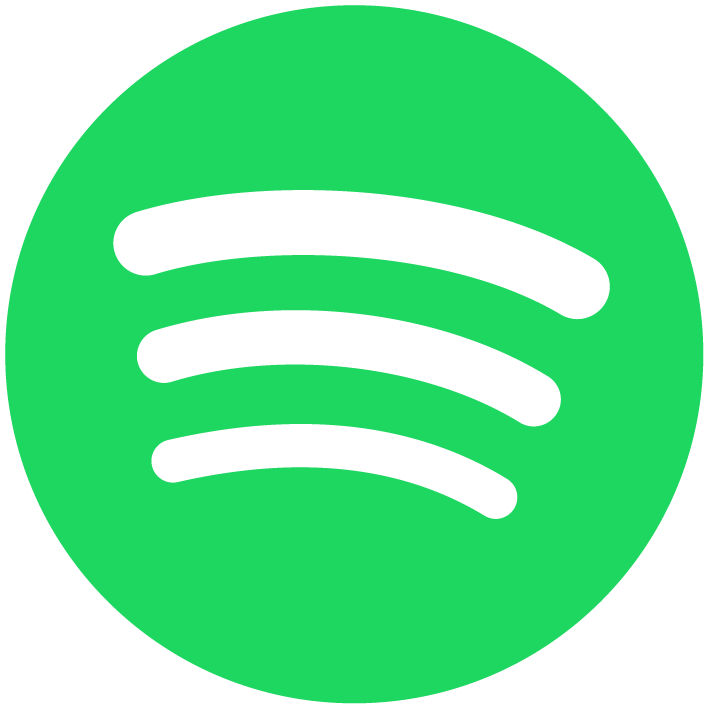 Music that Heals the Soul is a compilation of music from Kevin’s inspirational concert series, which has drawn large audiences in Northern Utah. Discovering the sound of best selling New Age Artist Yanni and his Live at the Acropolis concert sparked Kevin’s idea to play his piano accompanied by an orchestra. 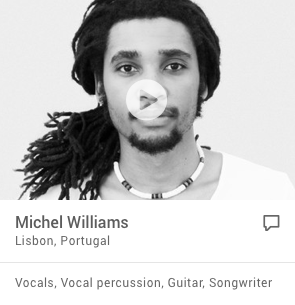 This idea quickly developed into the creation of his dynamic “Music that Heals the Soul” concert. Kevin leads the concert on piano along with Jeremy Threlfall on tenor vocals, Mami Matsumoto Lyon on the violin, talented soprano vocalist Jennifer Birchell, combined with a handful of exceptional musicians who make up the orchestra. The group calls themselves "Music that Heals the Soul." The concert is a melodic blend of Kevin’s original orchestra pieces, along with brilliant arrangements to Classical, Broadway, inspirational, and well-known songs. 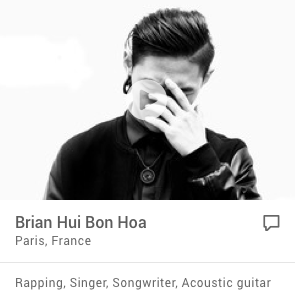 What sets Kula apart from other performers is his innovative musical style of arranging well-known songs along with his own original compositions. composed some of the most recognizable film scores in the history of motion pictures. Although Kevin’s music harmoniously combines a Classical, New Age and Celtic influence, the greatest inspiration for him has been his devoted relationship with God and nature. 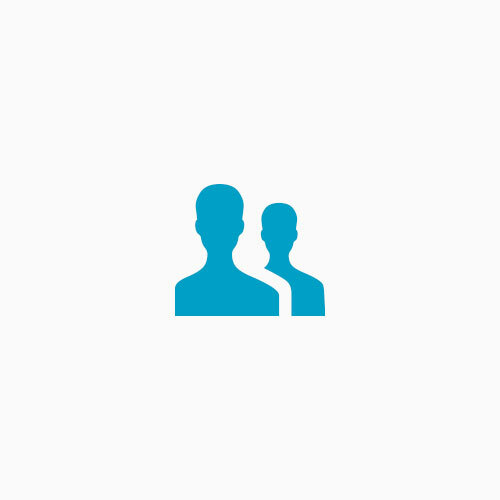 Kevin resides peacefully in Cache Valley surrounded by scenic tranquility and the majestic mountains of Northern Utah. My dreams are held back only by my fears and my lack of faith. If I look up to the Lord He will show the way to gain my strength. Chorus-For I am free to be me, yes I am free because now I see that I can be, whats inside of me. Chorus in Italian-lo sono libero di essere me, sì, io sono libero perché adesso vedo che posso essere, che cosa è dentro di me. Chorus-For I am Free to be me, God's love has helped me to see, that I am free to be me, because now I know that my heart can be free. And give your strength to me, so I can be free. Chorus in Italian-io sono libero di essere me, l'amore di Dio mi ha aiutato a vedere, che sono libero di essere me, perché ora posso essere, che cosa è dentro di me ..
My Lord is with me how can I fail, there is nothing in my way. Chorus-I am free to be me, God's love has helped me to see, that I am free to be me, cause now I know that I am free. as we strive for unity. The drive for life was planted, for life is meant to be, ever moving forward in pursuit of liberty. Flowers grow and they remind us, of natures plan for you and me, to conquer all life's challenges, in the quest for us to be. We will rise, We will rise again.